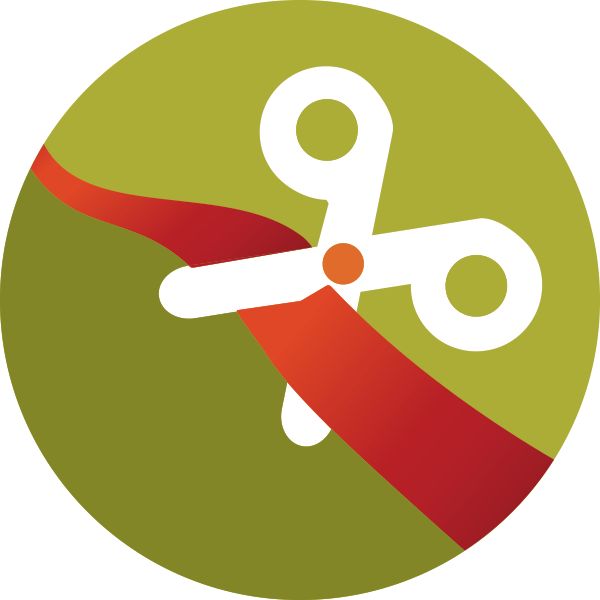 Ribbon Cuttings are held on Mondays at 4:15 p.m.
We work to book ribbon cuttings 4 weeks out to allow for ample time to promote and notify the appropriate people. 15-20 guests. We invite our Ambassadors, Board of Directors, City Employees and City Council. Attendance will vary depending on attendees’ schedules. We also include details of your ribbon cutting in our weekly newsletter (distribution of 2800 people). Sam’s Club of Arvada donates a celebratory cake. Please provide us with a high resolution JPEG of your logo so we can put in on the cake. We will arrive at 4:00 p.m. with the ribbon & scissors and take your ribbon cutting photo at 4:15 p.m. Your photo will be featured on social media and in our Grandviews newsletter. Everyone is welcome to be in the photo! A member of the Arvada Chamber of Commerce will welcome you to the Chamber and business community. A City representative will give a short speech and invite you to share a few words about your organization. Attendee’s usually stay and mingle for about 15-30 minutes. Take full advantage of this opportunity to showcase your business. Ex: Give tours, demonstrations, have key employees on hand to answer questions about the organization. Complete the attached form so we can schedule your big day – we will confirm a date upon the completion of the form. Provide a high resolution JPEG of your logo. Provide forks, plates, and napkins for the cake. Invite friends and family – the more the merrier! Some hosts choose to offer refreshments but it is not mandatory. Have fun and enjoy your moment in the spotlight! Click HERE to fill out and submit a Ribbon Cutting Request Form!